The Braves have entered the 1/3rd part of the NL East atop of the Division, The Nationals and Phillies have struggled, while the franchise has seen more ups and downs. Even with B.J. Upton, Dan Uggla and Jason Heyward having poor numbers (other than Uggla’s power,) the club may really take off if these guys get aboard the train. I can’t believe it’s already the end of May and that baseball season is almost a 1/3 of the way over already. 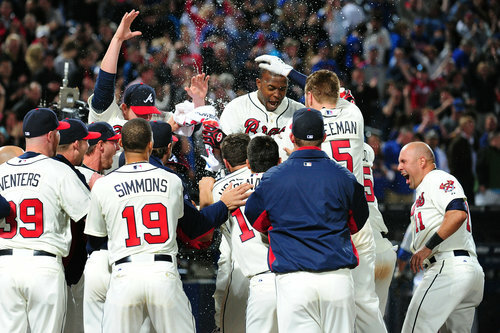 It’s been a fun two months and I’ve enjoyed cheering for and stressing over these Bravos for the past almost 60 days. 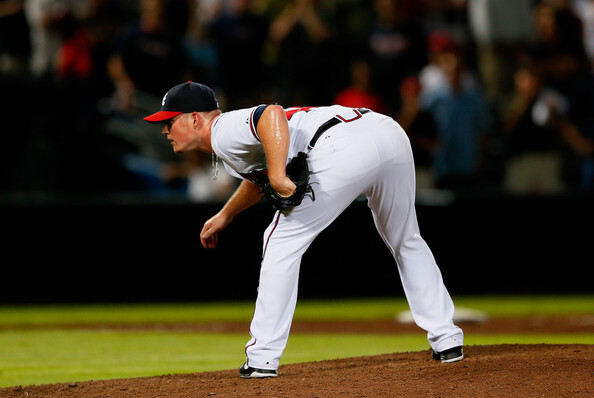 I thought that this was a good time to assess what I think the Braves have and what they don’t have. And moving forward what this team will have to do in order to be successful. As usual I don’t want to bore anyone with stats, I may throw a few in there for reference points but I’ll try not to over load anyone. I can’t stand the fact that you can’t even read an article on baseball without it looking like a math problem. Past the Read Entry Tag – or youtube clip – as there are the 10 questions to be answered in the last 108 Games.